Just south of the artificial thrills and souvenir hawking of Six Flags’ Magic Mountain theme park lies another family park with its own natural exhilarations – at considerably less expense I might add. I’m referring, of course, to Ed Davis Park, named for the former California State Senator who worked to preserve the area in its natural state for future generations. 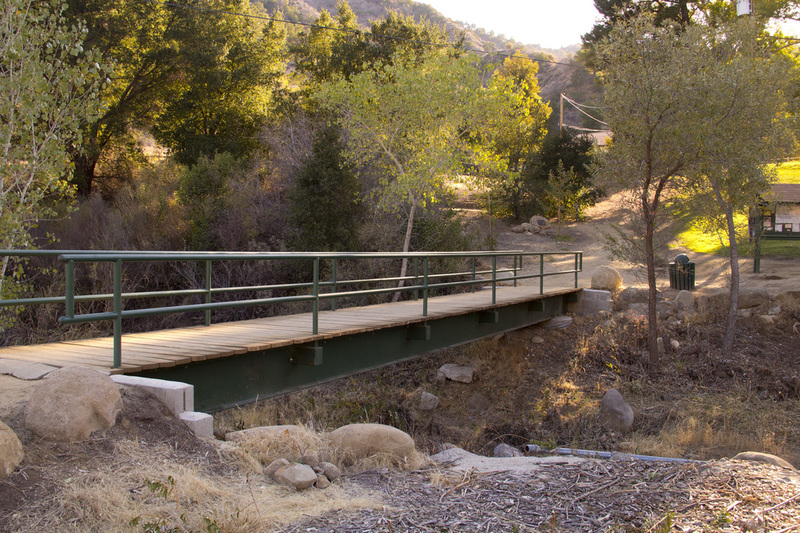 While not as rugged or secluded as some of the surrounding parks, Ed Davis Park offers easy accessibility and a variety of family-friendly activities including hiking, picnicking under a stand of cottonwoods, wading in Towsley Creek (rainy season only), mountain biking and touring a small nature center. 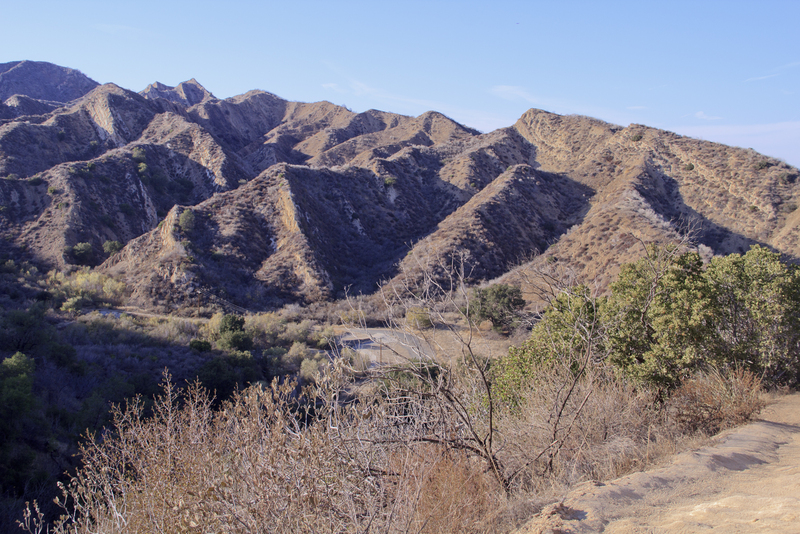 For the more adventurous, the 5.3-miles Towsley View Loop Trail takes visitors into the backcountry of the Santa Susana Mountains past tar pits, babbling creeks and through a narrow passage of towering rock known as The Narrows. But for families and beginner hikers, the park also offers an easier and shorter loop hike that provides a taste of greater adventures to be had – the Don Mullally Trail. This 2-mile trek winds through a small meadowlands area along Towsley Creek to Towsley Lodge and a beautiful grassy picnic area shaded by a stand of cottonwoods and continues along a lower ridgeline with some impressive views of the distant Sierra Polena Mountains before descending into Wiley Canyon and back to the parking lot. The ascent is only about 400’, although it is a fairly quick climb. And it’s just enough elevation gain to get your heart pumping. But don’t let that concern you; there are plenty of viewing spots along the way to stop and rest. The hike begins just inside the park gates at the large parking area near an information sign. From there, proceed along the paved Towsley Canyon Road in a westerly direction for .1 mile. At this point, a dirt path with signage veers off to your left. This is the first trail junction leading into Wiley Canyon. ​​You can begin the loop here in a clockwise fashion, but for our purposes we are going follow the trail counter-clockwise and continue on the paved road for another .43 miles to Towsley Lodge and Trail Junction 2. I chose to go this direction as this stretch of the trail is the least scenic section, and I prefer to get it out of the way and end on a high note. ​Continuing along the road, you will pass through the meadowlands and cross over Towsley Creek. During wetter years, the creek often runs continuously throughout most of the year, but with our on-going drought, it is mostly dry. On your right, you will see a series of bald hillsides. These were badly burned during recent wildfires, but fortunately, the fire did not cross the roadway and the wild canyons of Ed Davis Park were preserved. ​On your left, you will pass a $7.00 fee parking area (as of this writing). There is a single-track trailhead located at the back of the parking area for the Shortcut Trail. This trail will take you directly up to the ridgeline, by-passing Wiley Canyon should you want to tackle heights immediately. This is a very steep ascent, but it’s only about .25-mile in length. 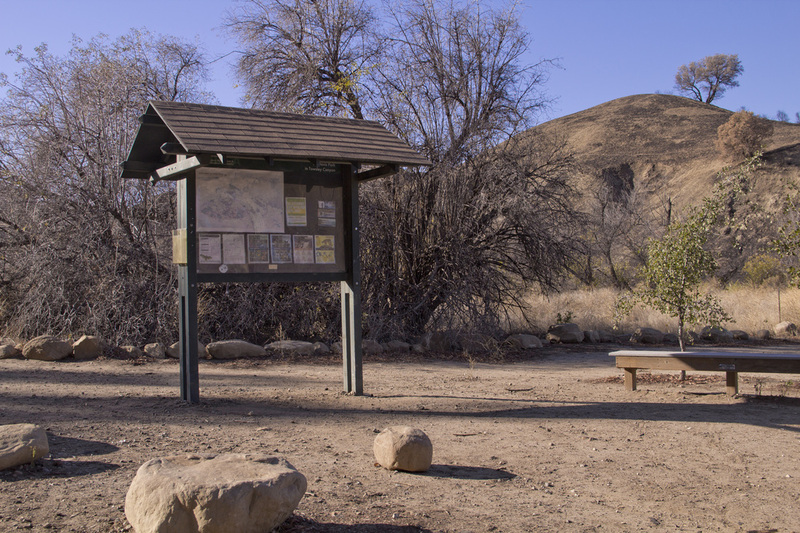 Continuing on Towsley Canyon Road, you reach Trail Junction 2 at .53-miles from the information sign. Here you will find a second fee parking area, the trailhead for the longer Towsley View Loop Trail, picnic area, restrooms, water fountain, Sonia Thompson Nature Center and Towsley Lodge. This a good spot to take a break and let the kids run around a bit and explore. When you’re ready to continue, follow the signs from the footbridge for the Don Mullally Trail and begin your ascent up and to the left from the bridge. ​​The trail becomes a single-track and winds in and out of the chaparral. As you gain elevation, the views begin to open up with glimpses into the interior Santa Susana Mountains to the south and west and panoramic landscapes of the Polena Mountains to the north. 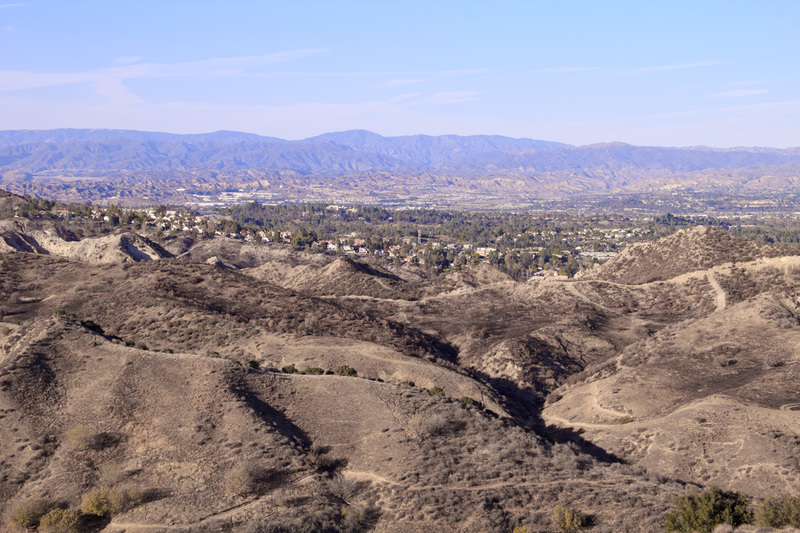 Once you reach the ridgeline, the trail levels out a bit and offers nice views of the Newhall pass. At 1.3 miles, the trail makes a sharp hairpin descent to the right into Wiley Canyon at Trail Junction 3. This marks the top intersection with the Shortcut Trail. Turning left will take you back down to the parking area. Again, this trail is very steep and your knees will definitely feel it going down, but it will save you about a third of a mile on your overall hike should you choose to take it. ​Continuing on the Mullally Trail from Trail Junction 3, you will wind through Wiley Canyon back to the canyon floor at 1.64 miles and Trail Junction 4, a T-intersection with the Towsley View Loop Trail. Because these trails are the northern slopes of the Santa Susana Mountains, you may find yourself in the shade a lot, particularly in the afternoon except for when you are on the ridgeline. During the winter, the hike on the ridge can be quite warm in the sunshine, but as soon as you dip into the shade of the canyons, it can become quite brisk. At Trail Junction 4, turn left and continue for .25 mile to Towsley Canyon Road and the parking area. 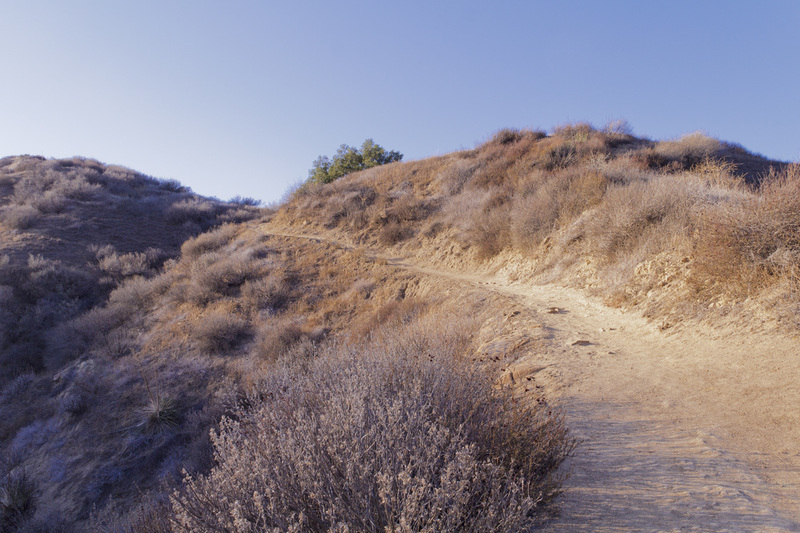 With its easy accessibility and family-friendly features, the Don Mullally Trail at Ed Davis Park is one LA’s best places to begin your outdoor adventure. The trail begins at the information sign at the second free parking area. This hike is actually composed of three sections: Towsley Canyon Road, the Don Mullally Trail and the Towsley View Loop Trail. Continue on the paved road (Towsley Canyon Road) for .1 mile to Trail Junction 1. At .1 mile, you reach Trail Junction 1 and Towsley View Loop Trail coming in on your left. You will end your hike by coming down this trail. For now, continue on the paved Towsley Canyon Road for .43 miles. In about .05 mile, you will pass the first fee parking area and the trailhead for the shortcut trail on your left. At .53 miles, you will reach the second fee parking lot and picnic area. Turn left and cross the wooden footbridge and follow the signs for the Don Mullally Trail leading up and to your left. Continue .85 miles on the Don Mullally Trail to the next trail Junction. As you begin a sharp hairpin descent to the right, there is a steep trail descending to the left. This is a very steep shortcut trail back to the parking area. Turn left for the shortcut or continue down and to your right for .33 miles to the next trail junction. This short .25 mile trail will save you about .33 mile and avoid the lower canyon hike that doesn't a lot of visual scenery. Be warned though, it is a very steep section that is a thigh burner going up and knee breaker coming down. But if you want to get in a little exercise on you hike, this short section will get your heart pumping. The Don Mullally Trail ends in a T-junction with the Towsley View Loop Trail. Turn left and continue for .25 miles to Towsley Canyon Road and the parking area. Congratulation! You've completed the 2-mile Don Mullally Trail. For a longer, more invigorating hike, consider returning to Ed Davis Park and tackling the Towsley View Loop Trail around the perimeter of the canyon.